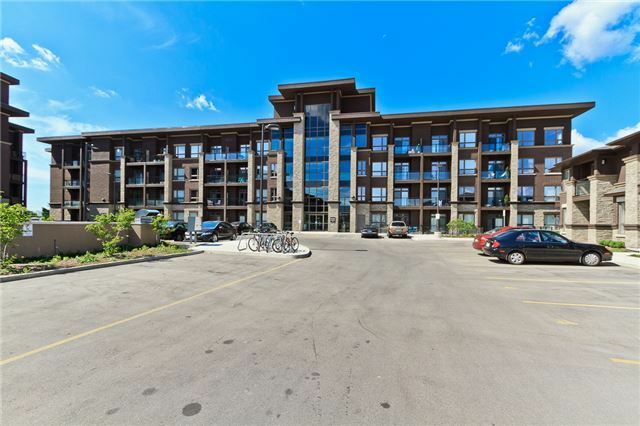 Bright & Spacious, 1+1 Unit In Trendy Vibe Condo! Highly Demanded Burlington District At Appleby/Corporate. Immaculately Maintained. Open Concept Layout. 9 Ft Ceilings. Modern Kitchen With Stainless Steel Appliances & Cream Cabinetry. Living+Dining Combined With Lovely Courtyard View. Bright Master Bedroom With Walk-In Closet. Very Spacious 4 Piece Bathroom. Easy Access To Qew. Close To Parks, Groceries, Shops, Restaurants & All Other Amenities.